Oh haaay honey, let’s be delicious together! My cake likes to talk out-loud sometimes. That’s just how it is. This cake knows what she likes. She likes to be cut into big, thick slices to show that she is the boss. She also appreciates the little sweet things like a drizzle of honey. Slivered strawberries make this doll pop. And some thick creamy yogurt goes right in step with her silky-smooth crumb. Nothin’ better than taking a huge bite of cake hot out of the oven. 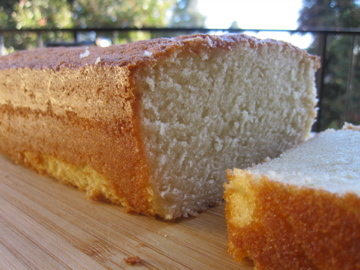 Buttermilk is one of my favorite ingredients to use in a baked good. I mean, come on…buttermilk pancakes, buttermilk donuts, buttermilk fried-chicken, BUTTERMILK POUND CAKE! 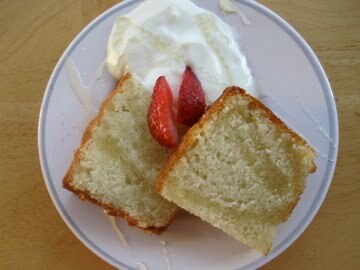 Another one of my favorite cakes showcasing buttermilk is Joy’s buttermilk avocado pound cake: satisfying and green! Grease and dust with flour a 9 x 5-inch loaf pan. Preheat oven to 325 degrees F.
Put the butter and sugar in a freestanding electric mixer with a paddle attachment and cream until light and fluffy. Add the eggs one at a time, mixing well and scraping any unmixed ingredients from the side of the bowl with a rubber spatula after each addition. Sift the flour, baking soda, and salt into a separate bowl. Add one-third of the flour mixture to the butter mixture, followed by half of the buttermilk. Mix well. Repeat this process, then finish with the remaining flour mixture. Stir in the vanilla extract. Mix well until all the ingredients are well combined. 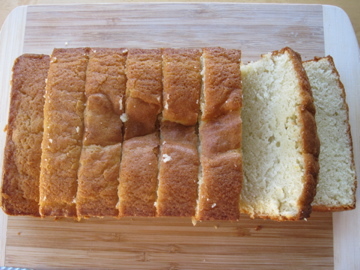 Pour the batter into the prepared loaf pan and smooth over the top. Bake in the preheated oven for about 35-40 minutes (mine actually took slightly longer cooking time), until golden brown and the cake bounces back when touched. 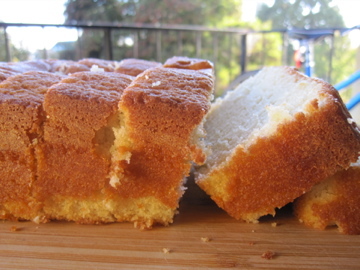 Let the cake cool slightly in the pan before turning out onto a wire rack to cool completely.